Our building has over 9,500 square feet of floor space. We currently have 32 different cameras that record audio and video footage 24/7, but, the general public can only view 3 of these cameras. Our live cameras will only show about 1/10th of our building, so depending on the time of day or night you may see a few employees or you may not see any at all. We have several employees that work in different sections of our building so you may never these employees on camera, ever. The majority of our floor space is used for storing rolls of vinyl. 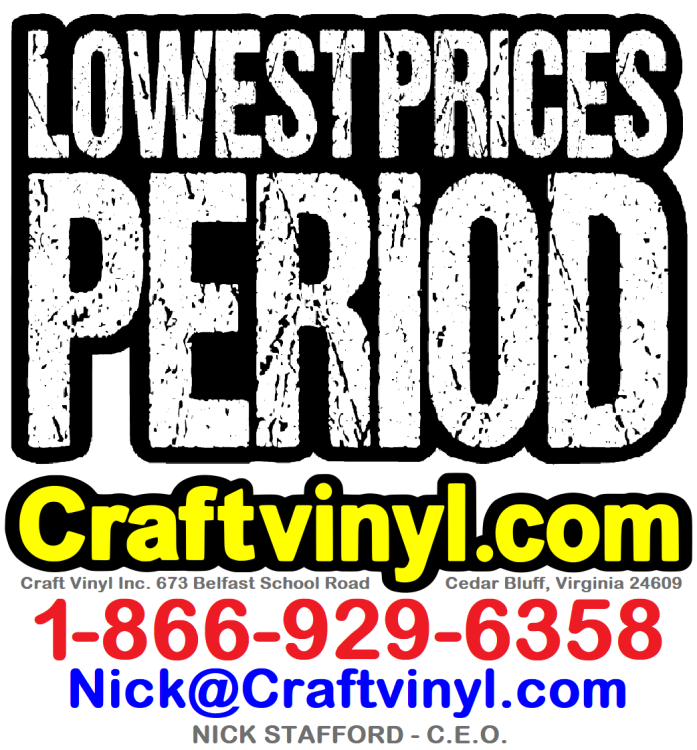 We also have several large rooms that we use to cut vinyl into sheets. We use patented machines that can cut a 150-foot roll of vinyl down into 12x12 sheets in less than 60 seconds with literally the push of a single button. Our cutting process and the machines that we use are both considered “trade secrets” so we will never show the process publicly. We are the only vinyl supplier with these types of machines because the manufacturer sells exclusively to Craftvinyl.com. You do not have to download anything or enter any information to watch any of our live videos, just simply click below on the camera that you want to watch. You can watch all 3 cameras at the same time. If by chance any of the cameras say "invalid source" or "camera is missing" that means that our WiFi has a weak signal. If the live videos are displaying "night vision" then that means we have left for the day, or, the overhead lights are not being used in that section of our building.